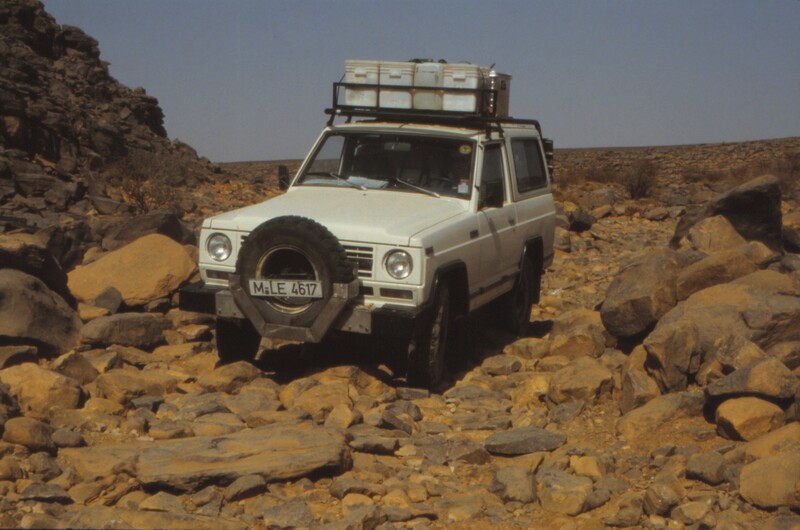 The finds of still very primitively worked stone tools (Pebbletools), which were presumably produced in the Pleistocene up to 1.5 million years ago by representatives of Homo habilis, show that the Sahara was settled very early by humans. 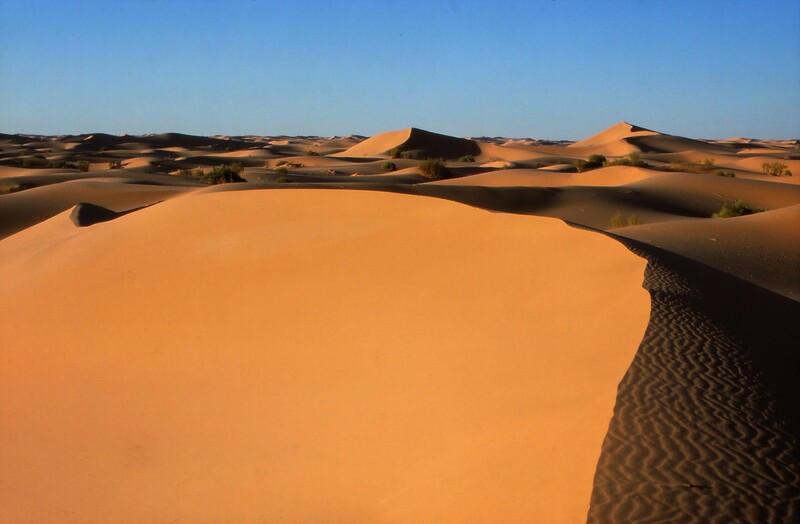 In some places the Sahara is covered with stone tools from different epochs of human history. Some places even give the impression as if early hunter and collector cultures had just left them. 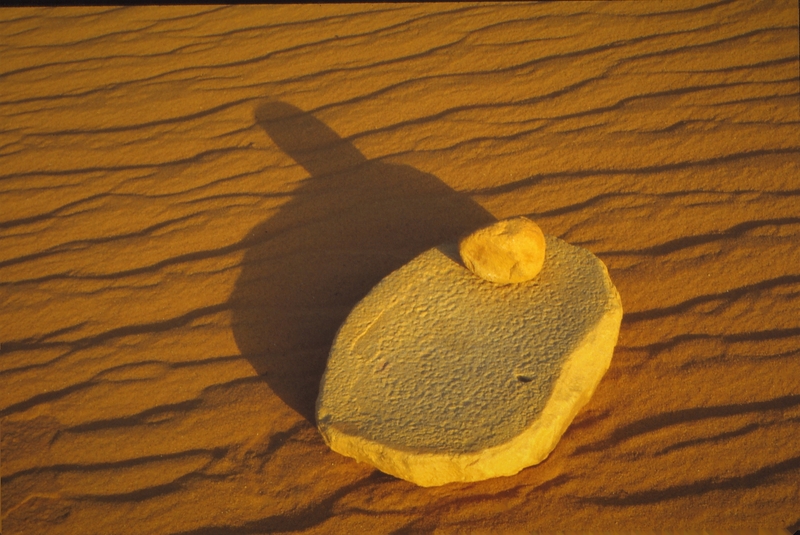 Heavy stone friction bowls and large stones with grooves for sharpening pointed tools rule out the possibility that they were left behind by nomadic traversers. 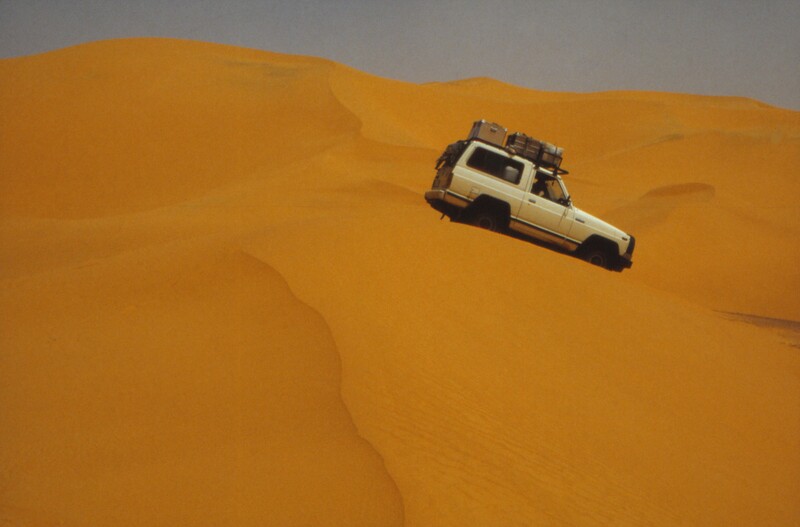 The rich find situation in remote areas that normal tourists cannot reach, still undisturbed, makes the Sahara an extremely interesting field of view in the history of mankind. 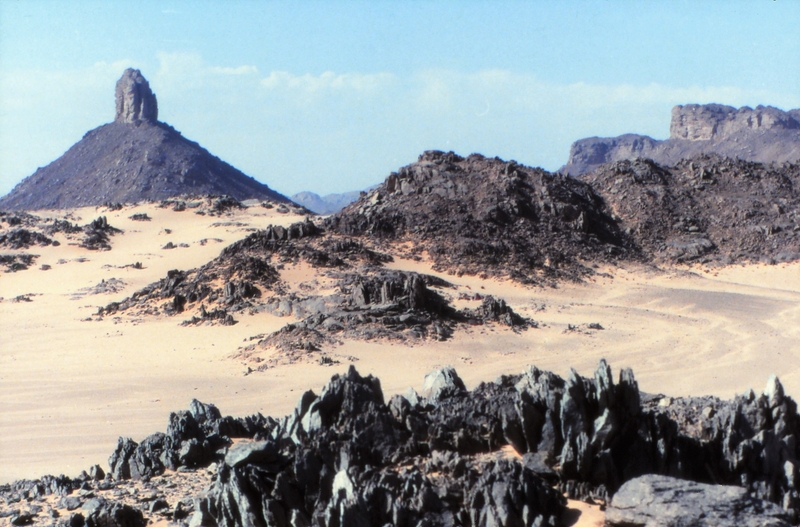 The depicted Faustkeine from the south of the Algerian Sahara can probably be attributed to the early Acheuléen about 500000 years ago. 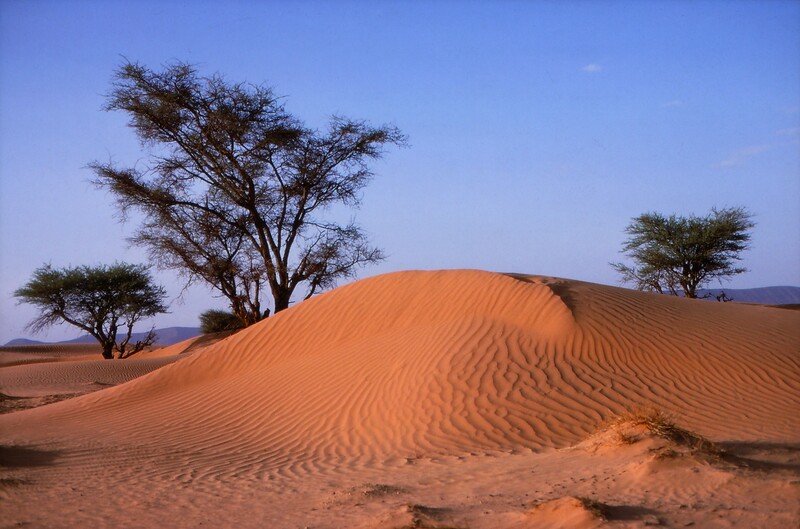 The sites, which today lie in dry areas of the Sahara, were covered with vegetation at that time and offered sufficient drinking water. 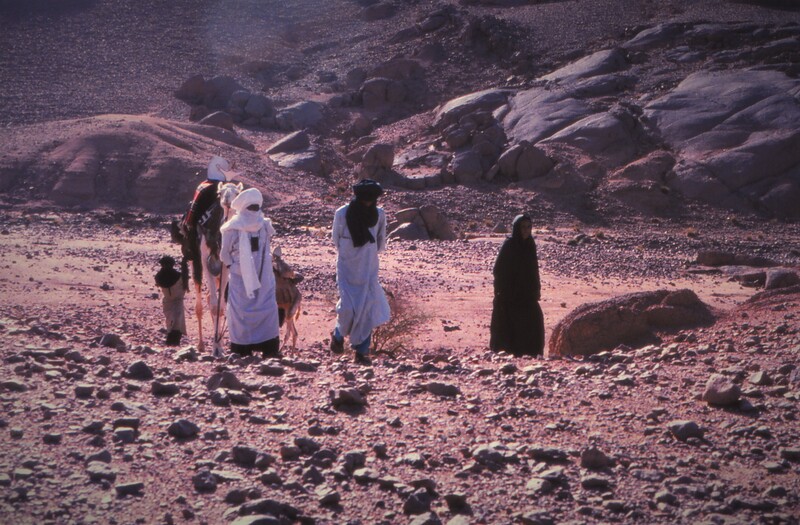 However, new dry seasons followed, in which the people withdrew from the Sahara and vegetation periods, in which the Sahara was populated again. Around 13000 B.C. 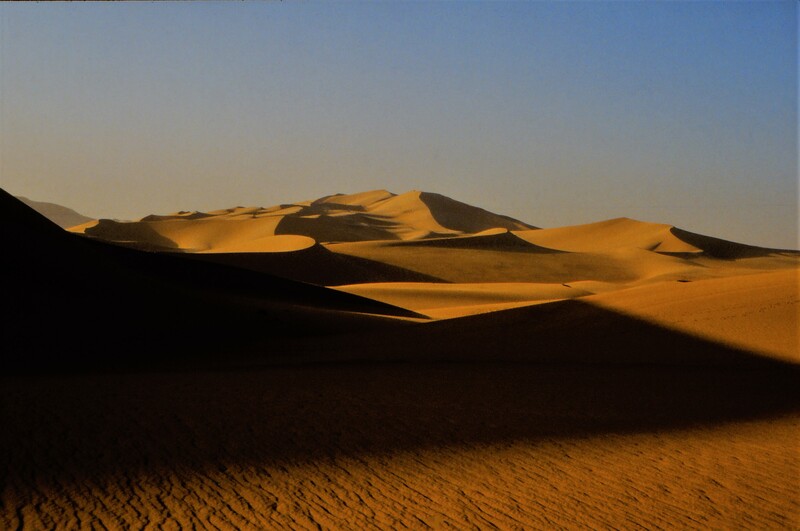 the Sahara began to become more humid again, a new vegetation arose and a rich animal world settled until around 4000 B.C. 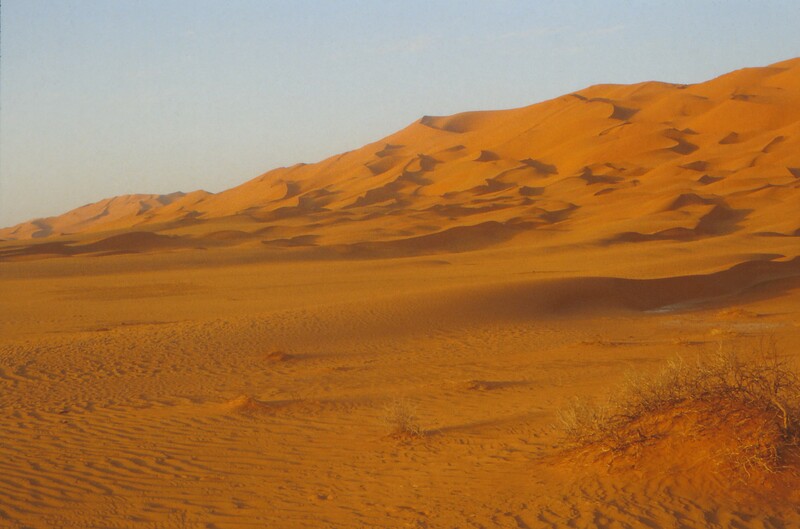 a new dry period began. 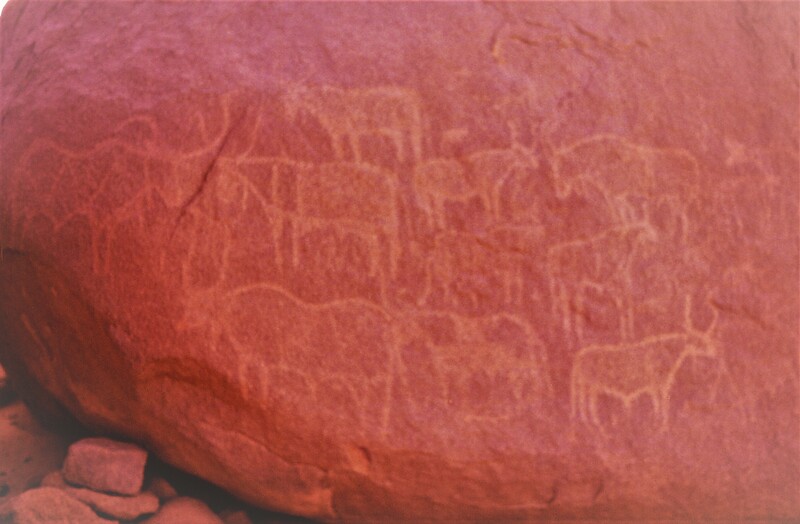 From the last vegetation period numerous rock drawings of wild animals, as one finds them today in the African savannas, representations of humans and domestic animals originate. 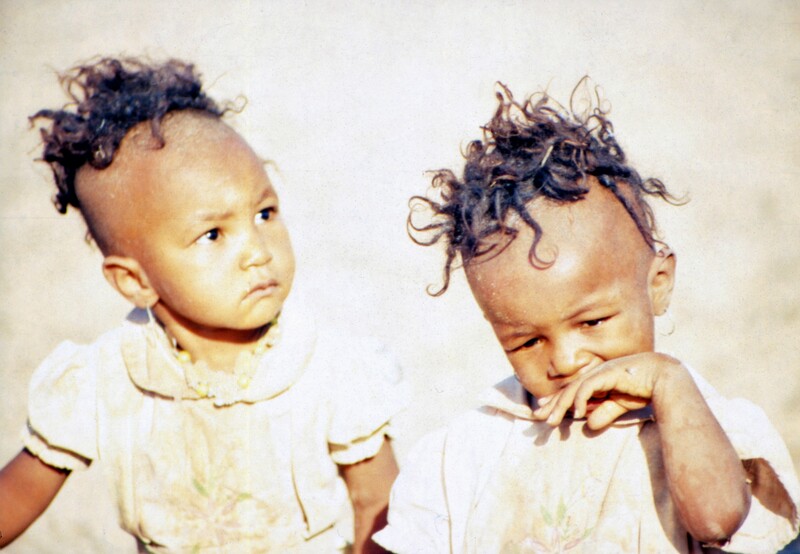 Since the 11th century, the central Sahara (Algeria, Niger, Mali) has been inhabited by Tuareg, a Berber people displaced from their ancestral habitat in southern Libya. 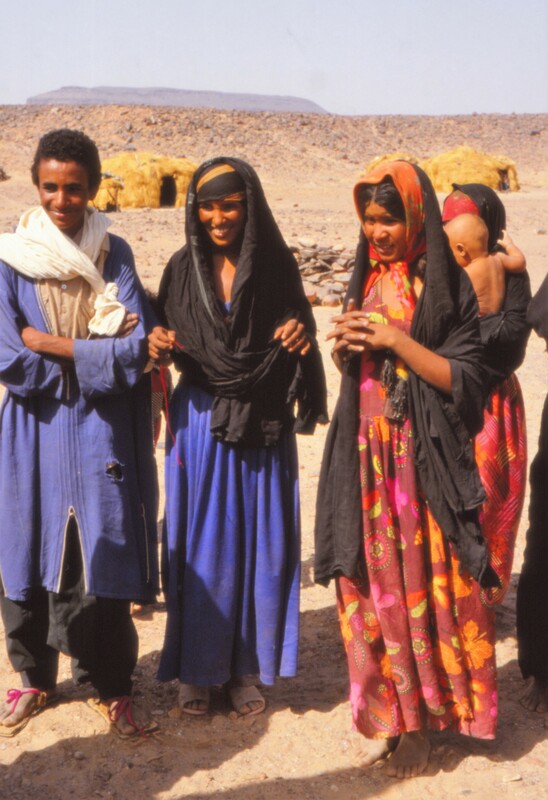 The language, Tamaschek, is related to the Berber and has no similarity with the Arabic except for some Arabic loan words. 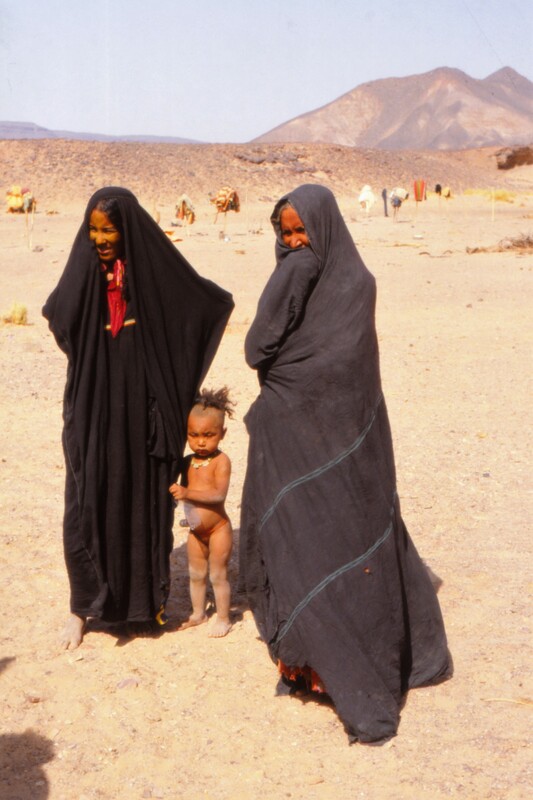 It is striking that the women are unveiled, while the men veil their faces with the so-called Tagelmust. 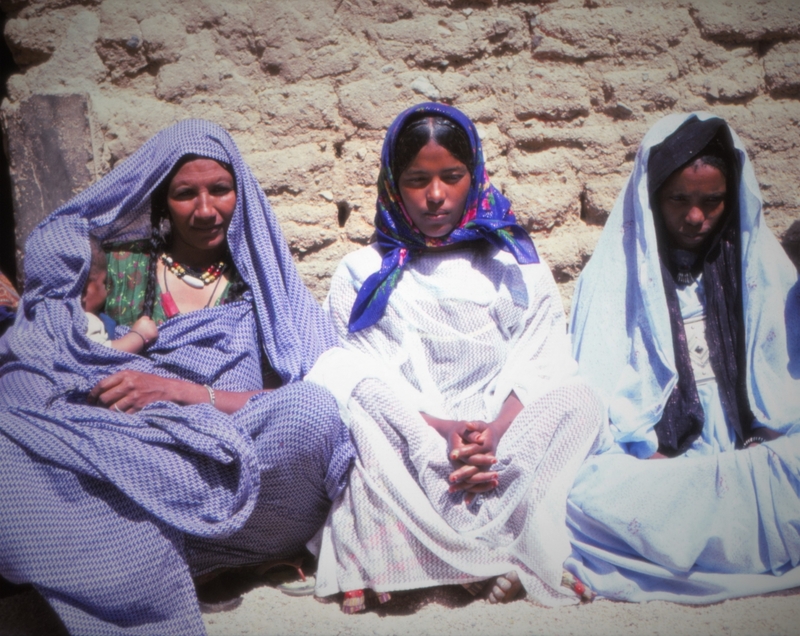 The women are independent and have their own wealth. 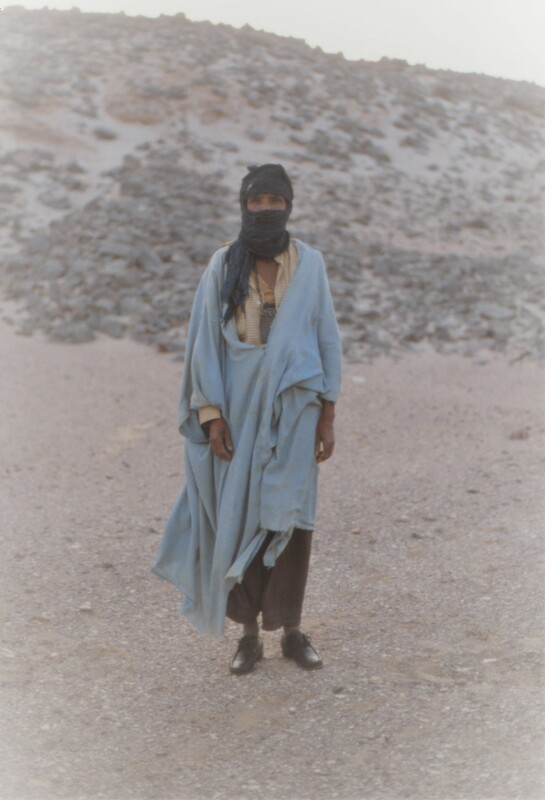 The Tuareg were forced to convert to Islam, but I did not meet any Tuareg who felt particularly committed to Islam. 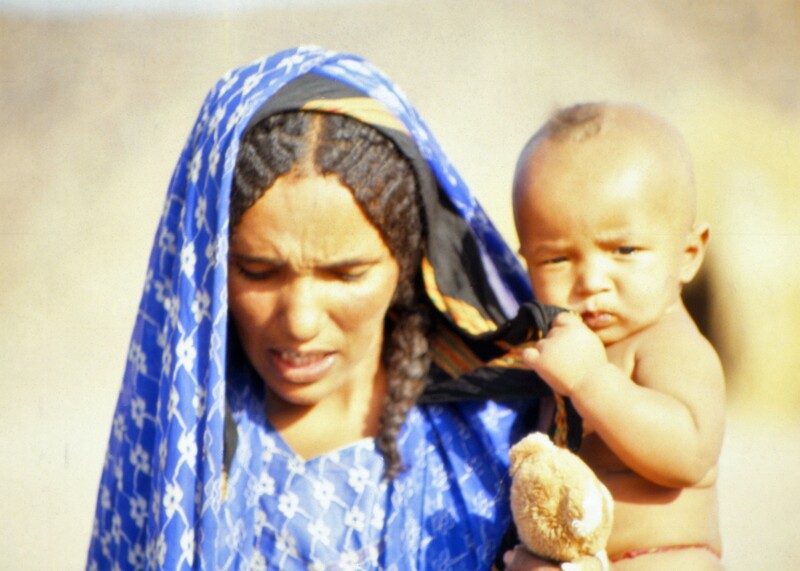 Until the last century, the Tuareg were a warlike people who were notorious for their raids on passing caravans. 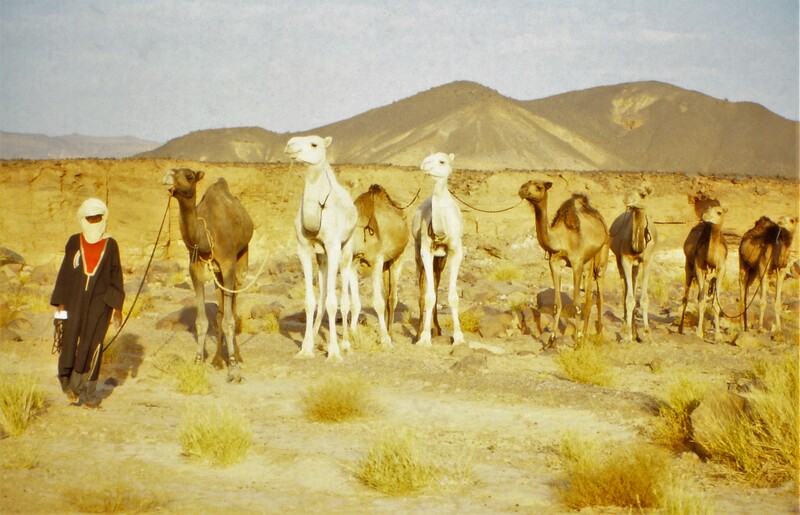 Today Tuareg live as camel and goat breeders. 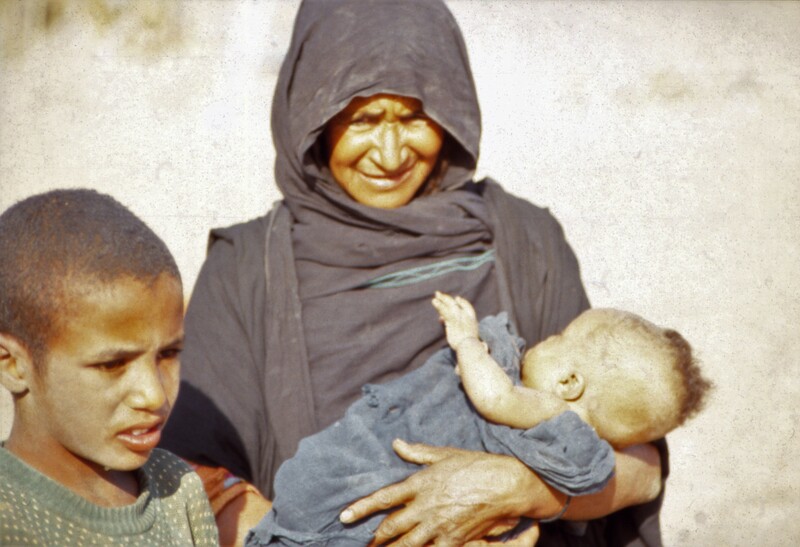 Between 1980 and 1990, one could still meet numerous Tuareg tribes, who lived completely traditionally as nomads or semi-nomads, who knew neither clocks, nor radio or cars, in hard-to-reach, remote areas of the Algerian Sahara. This made them particularly suitable for comparative cultural studies. 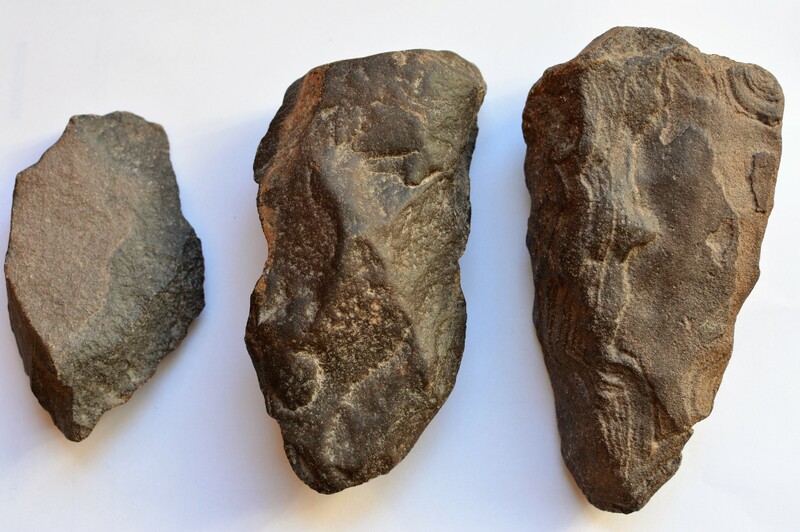 The pictures show early fist wedges from the Acheuléen, a heavy friction bowl from the south of the Sahara and a rock drawing from a wet period more than four thousand years ago. 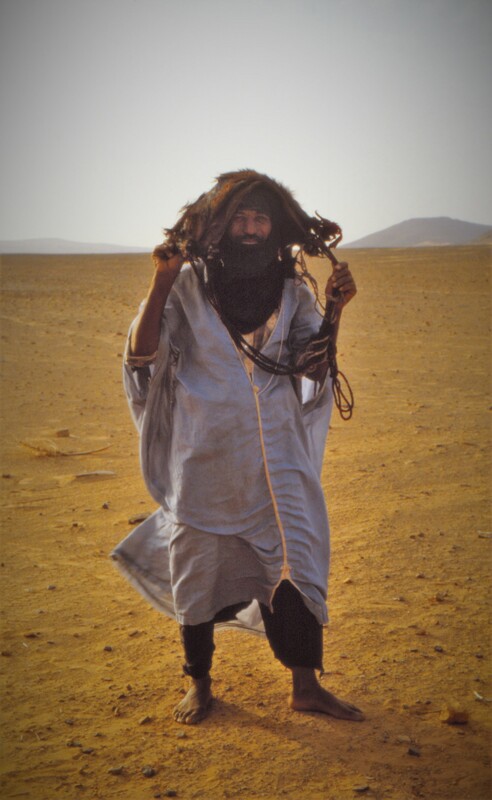 Pictures from the living environment of the Tuareg in Tassili, Hoggar and the sandy deserts of southern Algeria, as well as Tuareg in remote areas that have retained their traditional way of life.